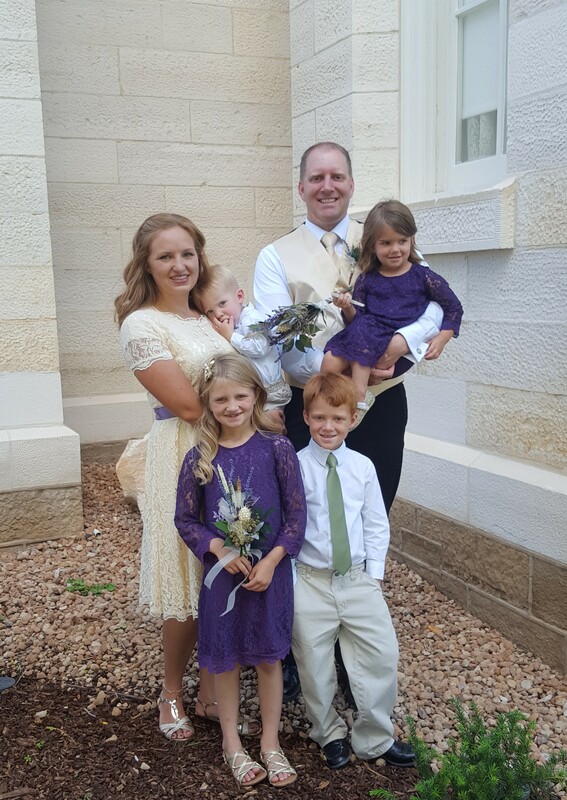 Last weekend was Amanda’s sister’s wedding in Manti, Sanpete, Utah. 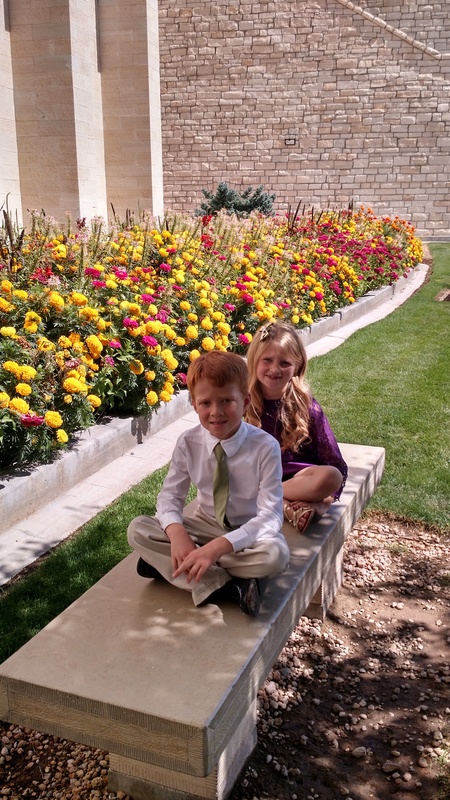 We went down to attend the wedding for Zachary & Alyssa Smart. It was a wonderful trip, time to get away, celebrate the wedding and reception, and enjoy ourselves. 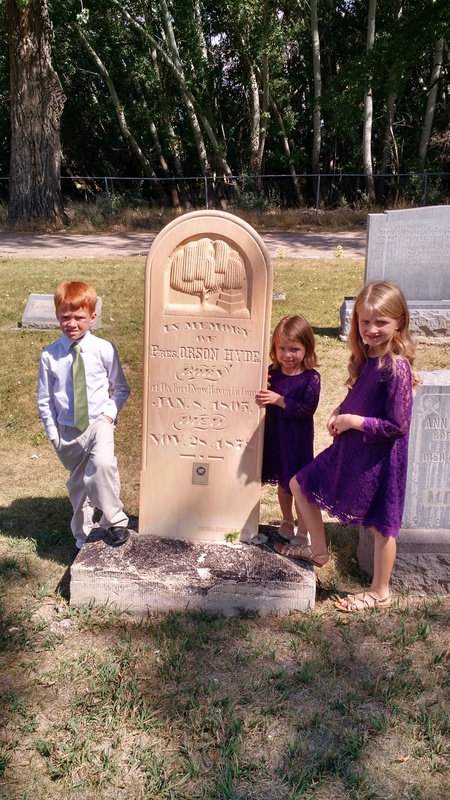 I have done enough family history that I knew my 4th Great Grandmother is buried in Spring City. 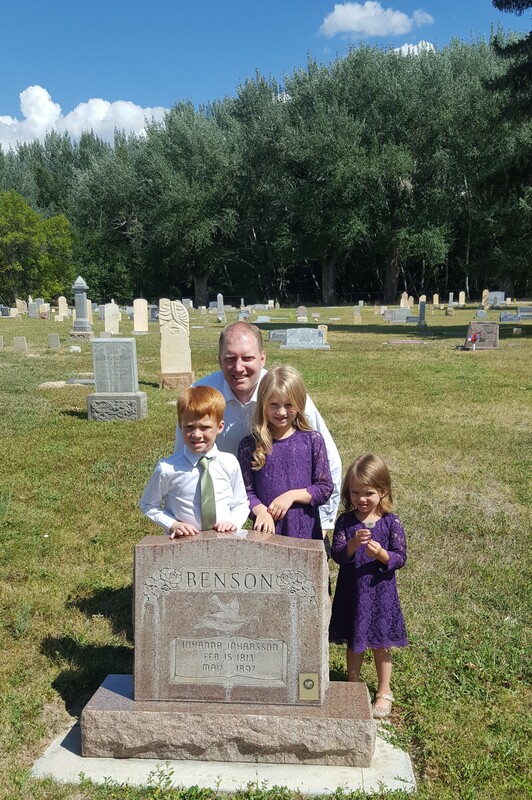 Like other locations, if I am in Sanpete County, I make an effort to stop and visit her grave. I think the last time I was able to stop was about 2003, so it had been about 15 years. Here is how we are related. My mother’s name is Sandra Jonas. Her father was Wilburn Norwood Jonas (1924 – 1975). His father was Joseph Nelson Jonas (1893 – 1932). His mother was Annetta Josephine Nelson (she went by Annie) (1864 – 1907). Her mother was Agnetta Benson (she went by Annie) (anglicized from Bengtsson) (1832 – 1873). Her mother was Johanna Johansdotter (which shows up on the tombstone as Johansson) (1813 – 1897), who was married to Nils Benson (anglicized from Bengtsson). I really don’t know tons about Johanna. Nels August Nelson makes only passing reference to his grandmother. I have been unable to find when she immigrated to the United States. Johanna Johansdotter was born 15 February 1813 in Öringe, Veinge, Halland, Sweden. She met and married Nils Bengtsson on 4 July 1830 in Veinge, Halland, Sweden. Nils was born 1 August 1802 in Brunskog, Tönnersjö, Halland, Sweden. Together they had 8 children together. Agnetta Nilsdotter born 9 Dec 1832. Lars Nilsson born 11 May 1835. Ingjard Nilsdotter born 17 February 1839. Christina Nilsdotter born 21 June 1841. Bengta Nilsdotter born 19 March 1843. Nils (Nels) Nilsson born 23 August 1846. Borta Nilsdotter born 6 April 1849. Johan Petter Nilsson born 31 August 1855. Nils passed away 12 March 1859. Johanna was baptized a member of The Church of Jesus Christ of Latter-day Saints on 11 May 1861. Agnetta was baptized 10 November 1863, Lars 5 May 1860, Ingjard 5 May 1861, Christina 4 February 1866, and Nils Jr 5 May 1860. Johann joined 7 September 1893 after immigration to Utah. The other two were after their deaths. Bengta and Borta did not join or immigrate to Utah. Johanna’s daughter Agnetta (Annie) traveled with her husband Johan Nilsson from Halmstadt, Sweden through Liverpool, England docking in New York City, New York on 3 June 1864. I cannot tell that Johanna traveled with Johan and Agnetta. Most of the children upon traveling to the United States were given the last name of Benson instead of Nilsson. The children spread. Agnetta went with her husband to Logan, Utah. Lars went with his family to what is now Sandy, Utah. Ingjard to what is now Sandy. Christina to Vernon, Utah. Nils to Spring City, Utah. John also to Sandy. For whatever reason Johanna went with Nils to Spring City and remained there the rest of her days. She passed away May 1897, we do not have an exact date. Nils served a mission from 1892 to 1894 back to the Scandinavia mission. 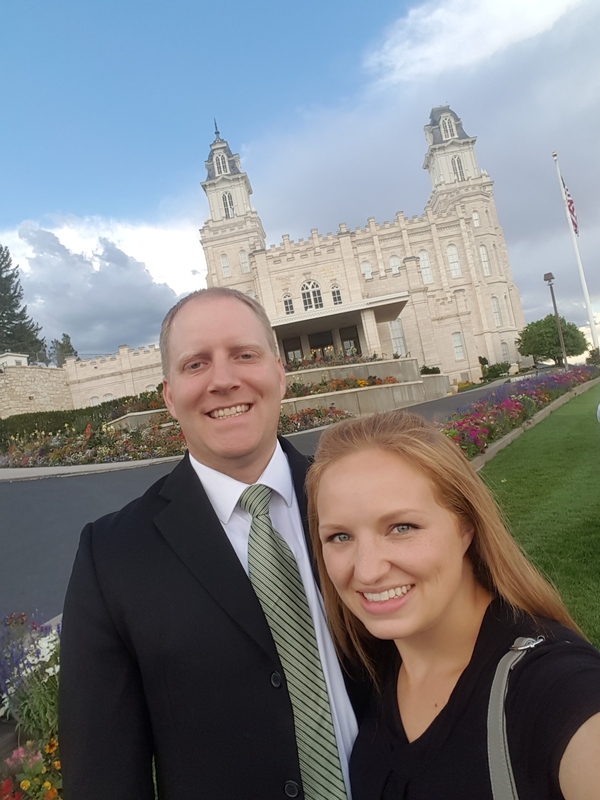 An interesting tidbit about our trip to Manti. We stayed in a restored home of James Marks Works. He was the brother-in-law to Brigham Young. It was an early home with various additions, modifications, and ultimate restoration. James Marks Works and Phebe Jones had a daughter named Mary Ann Angel Works. Mary Ann is the second wife to Nils Benson and they had 9 children together. The home in Manti we stayed may very well have been visited by my 3rd Great Grand Uncle and his 9 children, all of which were grandchildren of James Marks Works. James Marks Works died in 1889 and the first of the 9 children were born in 1892, but James’ son James Marks Works (Jr) kept the home and continued working the sawmill behind the home. 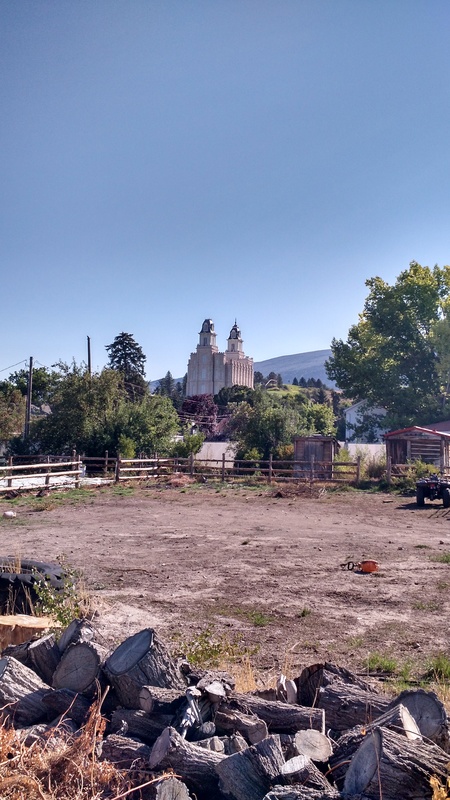 Here is a picture of the Manti Temple from James Marks Works’ home. Here is Orson’s short biography from the Joseph Smith papers. 8 Jan. 1805 – 28 Nov. 1878. Laborer, clerk, storekeeper, teacher, editor, businessman, lawyer, judge. Born at Oxford, New Haven Co., Connecticut. Son of Nathan Hyde and Sally Thorpe. Moved to Derby, New Haven Co., 1812. Moved to Kirtland, Geauga Co., Ohio, 1819. Joined Methodist church, ca. 1827. Later affiliated with reformed Baptists (later Disciples of Christ or Campbellites). Baptized into LDS church by Sidney Rigdon and ordained an elder by JS and Sidney Rigdon, Oct. 1831, at Kirtland. Ordained a high priest by Oliver Cowdery, 26 Oct. 1831. Appointed to serve mission to Ohio, Nov. 1831, in Orange, Cuyahoga Co., Ohio. Baptized many during proselytizing mission with Samuel H. Smith to eastern U.S., 1832. Attended organizational meeting of School of the Prophets, 22–23 Jan. 1833, in Kirtland. Appointed clerk to church presidency, 1833. Appointed to serve mission to Jackson Co., Missouri, summer 1833. Served mission to Pennsylvania and New York, winter and spring 1834. Member of Kirtland high council, 1834. Participated in Camp of Israel expedition to Missouri, 1834. Married to Marinda Nancy Johnson by Sidney Rigdon, 4 Sept. 1834, at Kirtland. Ordained member of Quorum of the Twelve by Oliver Cowdery, David Whitmer, and Martin Harris, 15 Feb. 1835, in Kirtland. Served mission to western New York and Upper Canada, 1836. Served mission to England with Heber C. Kimball, 1837–1838. Moved to Far West, Caldwell Co., Missouri, summer 1838. Sided with dissenters against JS, 1838. Lived in Missouri, winter 1838–1839. Removed from Quorum of the Twelve, 4 May 1839. Restored to Quorum of the Twelve, 27 June 1839, at Commerce (later Nauvoo), Hancock Co., Illinois. Served mission to Palestine to dedicate land for gathering of the Jews, 1840–1842. Member of Nauvoo Masonic Lodge, 1842. Member of Nauvoo City Council, 1843–1845. Admitted to Council of Fifty, 13 Mar. 1844. Presented petition from JS to U.S. Congress, 1844. Participated in plural marriage during JS’s lifetime. Departed Nauvoo during exodus to the West, mid-May 1846. Served mission to Great Britain, 1846–1847. Presided over Latter-day Saints in Iowa before migrating to Utah Territory. Appointed president of Quorum of the Twelve, 1847. Published Frontier Guardian at Kanesville (later Council Bluffs), Pottawattamie Co., Iowa, 1849–1852. 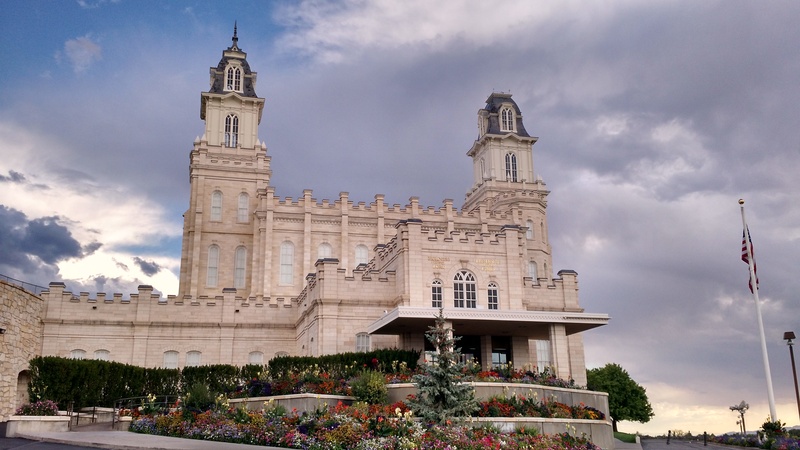 Appointed to preside over church east of Rocky Mountains, 20 Apr. 1851, at Kanesville. Migrated to Utah Territory, 1852. Appointed associate judge of U.S. Supreme Court for Utah Territory, 1852. Elected to Utah territorial legislature, 27 Nov. 1852, 1858. Presided over church in Carson Co., Utah Territory (later the Nevada Territory), 1855–1856. Served colonizing mission to Sanpete Co., Utah Territory, by 1860; presided as ecclesiastical authority there, beginning 1860. Died at Spring City, Sanpete Co.